Mr. Golb is, or was, a guerrilla fighter in a cyberbrawl over the Dead Sea Scrolls, a war about the origins of 2,000-year-old documents that has consumed the energy of academics around the globe. He was being arrested for fighting dirty. Mr. Golb is 49 years old and had 50 e-mail aliases. He used pseudonyms to post on blogs. Under the name of a professor he was trying to undermine, prosecutors charged, Mr. Golb wrote a quasi confession to plagiarism and circulated it among students and officials at New York University. In court papers filed last week, Mr. Golb’s lawyers argued that prosecutors were trying to criminalize the commonplace. Both sides in the Dead Sea Scrolls debate, they said, use “sock puppets” — fake identities — on the Internet to make it seem as if scores of people are arguing a point. “These bloggers marshaled their legion of sock puppets to engage in intellectual combat with the sock puppets allegedly created by Raphael Golb and others,” the lawyers wrote. It is true that some bloggers (and commenters) sometimes use sock puppets in comment sections (i.e., make their own viewpoints look more widely held by posting them under multiple fake identities). But this can be detected by people who know what to look for, and when outed the the sock-puppeteers are ridiculed by other bloggers. Sock puppetry is very poor form among bloggers. This defense is rather insulting to conscientious bloggers and commenters, and I doubt that there were "legions" of other sock-puppeteers debating with the author of these posts and e-mails, but it's true that sock puppetry is sometimes used on the Internet. But the issue is surely not the sock puppetry per se, which is pathetic but I can't see anything illegal about it. Rather it is, first, the impersonation of Professor Schiffman and, second, the defamation associated with the impersonation. But I am not a lawyer and I don't know what the legal issues are and I have no idea how the case will turn out. But what about the injury Mr. Golb apparently tried to inflict on Lawrence H. Schiffman, the chairman of Judaic studies at N.Y.U.? Someone wrote from larry.schiffman@gmail.com to Professor Schiffman’s graduate students and dean, alerting them to an article that suggested he had committed plagiarism. Perhaps two things go without saying: The article was actually written under one of Raphael Golb’s pseudonyms, and Professor Schiffman has been critical of the theories of Golb père. The defense claims that the e-mail messages were transparent parodies, and that in any event, injury to a reputation is a civil matter, not a criminal violation. Again, I don't know the legal ins and outs of the offense, but I do know that if someone tried to damage my good name in this way, I would consider it a very serious matter indeed. Incidentally, I received one of those messages (of accusation, not one claiming to be from Schiffman himself) and it was in no way clear to me that it was a "parody." It seemed entirely serious. Background here and follow the links back. UPDATE (9 November): I have revised this post to gather my thoughts a little more coherently and to make a correction. HOW TO TALK LIKE AN INTELLECTUAL. The epistemology of praxis functions as the conceptual frame for the construction of linguistic transparency. RAPHAEL GOLB is reportedly (according to the AP) using a parodies and free speech defense in his trial over the online sock-puppet defamatory impersonations of Larry Schiffman. The exhibition integrates the most recent research done about ancient Jerusalem. It includes three sections: one features the sarcophagus [funeral receptacle] lid inscribed with the words "Ben HaCohen HaGadol" - "Son of the High Priest." Another display presents Jerusalem as a metropolis during the late Second Temple Period, while a third exhibits artifacts from the time of the destruction of the Second Temple. Also, the Arutz Sheva article, "New Exhibit: 2,000 Year-Old Temple Mount Coins," which covers the same story has a lot more information about the coins. Two Beduin men, both 22 were indicted in Beersheba Magistrate's Court on Wednesday for going on a vandalism rampage at the UNESCO-recognized Uvdat archeological park last month. According to police, Hassan and Ahmad Al-Marrak, were motivated by a desire to avenge the state's demolition of illegal structures that belonged to the suspects' clan, police added. Workers in the field of business lasting Beyazkule plow tractors come into contact with the hard object was noticed. So the workers gained ground, half a meter below the ground one meter 30 centimeters long, 60 inches wide and weighs approximately 100 pounds came across the stone mass. Looks like a stone monumental inscription. No word yet on what it says, although the photo looks fairly readable. Urfa is the site of ancient Edessa, where the Aramaic dialect that became the literary language Syriac developed. “I had the pleasure to meet Boaz Zissu some years ago and he is a very sharp young archaeologist who has done a lot of work in the caves where Bar-Kokhba’s men hid, and this is an extension of that work,” said Hendin. THE SECRET MARK LETTER attributed to Clement of Alexandria is published in Morton Smith's English translation in Biblical Archaeology Review. While looking for ancient documents in the Mar Saba monastery library in the Judean Desert, scholar Morton Smith made a discovery that rocked the academic world: Copied onto the end-pages of a 17th-century book was a previously unknown letter from Clement of Alexandria, a second-century church father, that contained passages of a lost "secret" gospel of Mark. More than 50 years after this remarkable revelation, the debate over the authenticity of the document continues. But what did the letter say? What follows is Morton Smith's translation as it appears in his book Clement of Alexandria and a Secret Gospel of Mark. This is a memorandum to myself as to why I no longer see that period in quite the same way, and why I think I missed the point and the wisdom of the “Myth of God Incarnate-debate.” The Myth of God Incarnate was not (to repeat) a seminar devoted to the historical Jesus. That there had been one was assumed with the same nonchalance as one would say “Well of course I had a grandfather. Where do you think I come from?” What there had not been is an incarnation—presumably also, while there was disagreement on some specifics, not a resurrection, virgin birth, or assorted other signs and wonders either. God had not become man. Note also Dr. Hoffman's recent essay on the Jesus Project. Claude Lévi-Strauss, the French anthropologist who transformed Western understanding of what was once called “primitive man” and who towered over the French intellectual scene in the 1960s and ’70s, has died at 100. 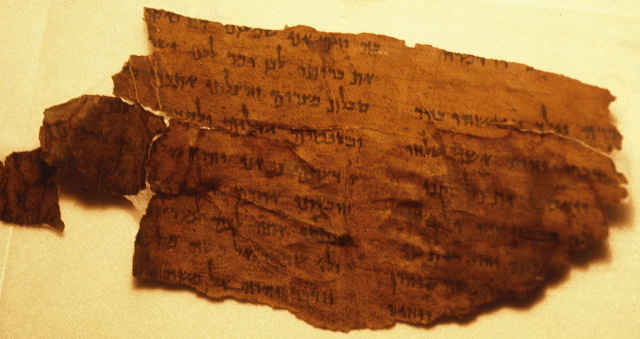 In light of the issues raised by Smith’s two books, efforts were made to see and examine the Voss book containing the letter of Clement, which Smith claimed to have found in the Mar Saba library. In 1976, three years after the publication of Smith’s books on Secret Mark, three Hebrew University scholars (David Flusser, Shlomo Pines and Guy G. Stroumsa, then a graduate student at the Hebrew University), in the company of an official of the Greek Orthodox Church (Archimandrite Meliton), went to Mar Saba and managed to “relocate” the book, after some searching around in the tower library where Smith left it. Because of its significance, all concurred that it should be taken to Jerusalem and secured in the Patriarchate library. They hoped that a scientific test of the ink would demonstrate the date of the inscription of Clement’s letter, but such a test was not permitted. Subsequent scholars who visited the library later were not permitted to see the book. In 1980 Thomas Talley, a professor at General Theological Seminary in New York, reported in an article that he was not allowed to see the letter because it had been removed from the book and was being “repaired.”13 Shortly after the book was deposited in the Patriarchate library in Jerusalem, the librarian (Kallistos Dourvas) removed the two folios containing the Clement letter in order to photograph it. He then replaced the two loose folios at the back of the book.14 And then the Voss book itself was “misplaced” in the library and could not be located. In June 2000, however, the Voss volume was relocated in the Patriarchate library, but the two folios containing the letter of Clement were missing. They are still missing. So apparently a number of people besides Smith have seen the pages in question, but they are now lost. Until they are recovered, I suspect the debate on their authenticity (not to mention the authenticity of Secret Mark) will continue. Other articles in the same issue of BAR are available only to paid subscribers. April De Conick comments here. No comments yet from Stephen Carlson, but congratulations to him anyway on the recent sixth anniversary of his blog Hypotyposes. UPDATE (5 November): For Morton Smith's translation of the text of the letter, published by BAR, go here. Hebron – Ma'an – Palestinian tourism and antiquities police uncovered Roman-era cemeteries in the town of Halhul, north of Hebron, on Thursday, according to the department's media office. USC researchers are producing crisp images of inscriptions and artifacts from biblical Israel and other Near Eastern locales and putting the pictures online. Over the last three decades, the USC project has produced thousands of crisp images of inscriptions and other artifacts from biblical Israel and other Near Eastern locales, making the pictures available to the public in an online archive, InscriptiFact.com. The database also features an Aramaic inscription on a sheet of papyrus written by a group of Jews in Egypt five centuries before the birth of Jesus. In the text -- whose image is so sharp it reveals the grain of the papyrus -- Jews petition distant Persian rulers for permission to rebuild a temple. "A picture is worth a thousand words," said Bruce Zuckerman, a USC religion professor who founded the research project in the early 1980s. "Sometimes big issues in history can turn on the interpretation of a single letter." Zuckerman's foray into the world of photography and ancient texts grew out of his frustration over the poor quality of archaeological photos. Museum photographers, he recalled, often missed important details because they lacked scholarly expertise. Biblical researchers, meanwhile, typically did not have enough experience with photography to produce compelling images. Zuckerman wanted to bridge the gap. He turned to his older brother, Ken, a self-taught photographer and former Caltech engineer. Together, the Zuckermans began taking -- and distributing -- photos of ancient inscriptions. The brothers combined large-format cameras and multiple sources of light that revealed an object's otherwise hidden details. Digital cameras and computers, introduced into the process about a decade ago, provided more precise images. I was there when they started, as Bruce's research assistant in 1982-83. Back then the equipment consisted of a polaroid camera to get the shot set up just right, then a high-quality camera and film to take a perfect image. Read the rest of the article to learn about their new gizmos. One is actually called "the Gizmo." For the websites of the West Semitic Research Project and Inscriptfact follow the links. For one of the current projects, go here. There's more on Bruce Zuckerman here (and follow the links back). And there's a post on Marilyn Lundberg here, although unfortunately the main link has rotted. Just a note on your earlier post on the 10 commandments scroll. I was to the ROM twice that week and it was indeed 4QDeutn, and not the Nash Papyrus, that was on display. I gave a tour through the exhibit a week ago Friday and the place was absolute chaos. They were turning away hundreds of people who wanted to see the scroll (including us...) - I guess interest in our line of work has not waned! TUNISIAONLINENEWS- The 7th international congress will be held in Hammamet, Tunisia form November 10 to 14, 2009 under the motto “life, religion and death in the Phoenician and Punic world”. The congress in organized jointly by the National Heritage Institute (INP) and the National Agency for Revival of Heritage and Cultural Development as well as the Research Unity: Punic Carthage and culture dissemination. 250 researchers and historians including epigraphists and archeologist from different Arab and foreign countries will take part in this event. The program involves architectural constructions, the funeral Neo-Punic lexicon and deities and the Phoenician sanctuaries.